WINNIPEG — Manitoba Premier Brian Pallister did an about-face on carbon taxes Wednesday, abandoning plans to start charging a levy in December and joining other conservative leaders in flat-out opposition to federal plans. But on Wednesday he said the province was pulling out completely because Ottawa has not backed off on threats to backstop Manitoba's tax with its own, higher rate. "That respect hasn't been forthcoming. The uncertainty remains and, if it isn't addressed, it's going to affect our ability to attract business capital," the premier said. "We're forced to either fight (the federal government) in a year, when they invoke a higher tax .... or to stand up to them now. We're choosing to do it now, not then, because we hope that this will give clarity sooner than if we wait." "There is a course of action other provinces have chosen to pursue and it's something we're going to have to look at." "Now that another province has said no carbon tax for their province, will this prime minister recognize that a carbon tax penalizes Canadians, penalizes farmers ... penalizes industry... (and) does nothing to help the environment?" Prime Minister Justin Trudeau said his government would rather provinces enact a carbon tax themselves, but if they don't, Ottawa will do so and return the money collected back to Canadians. "I continue to find it puzzling as to why Conservatives insist on making pollution free," Trudeau said. "We believe that polluters should pay and that’s why we are putting a price on pollution." 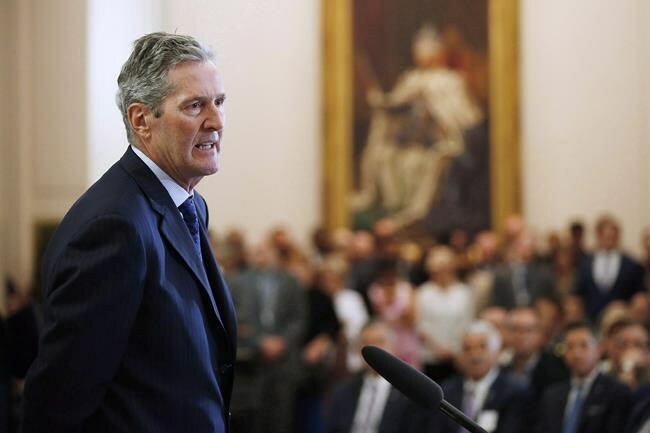 The abandonment of its planned carbon tax means Manitoba also won't proceed with income tax cuts that were to help offset increased energy costs, Pallister said. His promise to cut the provincial sales tax by 2020 —a key campaign plank in the last election — remains firm, he said. "I've tried to play defence as long as I can. The federal government isn't giving. We gotta fight."